Orphans of the Storm® has dogs big and small who are all ready and eagerly waiting for the chance to find a new forever family! Dennis the three-year-old Labrador Retriever mix found himself at Orphans of the Storm® after his owner became ill and could no longer care for him. That means that Dennis has three years of experience as a wonderful companion dog and is ready to bring some joy into a new home. 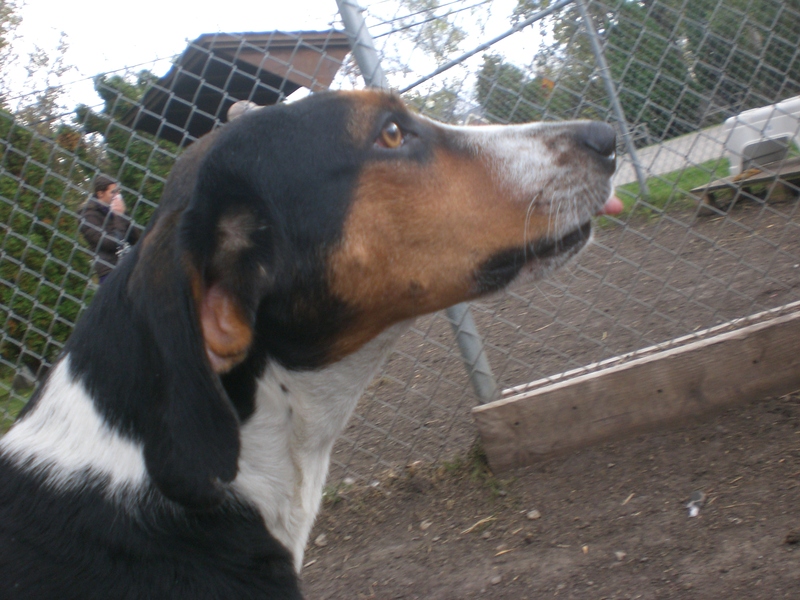 Since Dennis came from an owner, he already knows his basic commands and sat for me very nicely when I asked him to. Dennis walked well on the leash for the most part, but when there was a direction he wanted to go in (like to see another dog), he was very strong. This big boy isn’t all brawn, though–he is also super affectionate. He likes to give doggy kisses and he absolutely loves getting a good scratch on his hips, which causes him to do a little doggy dance that is super cute. Dennis already knows what it means to be part of a family–now he just needs a new family so he can prove it! Boone the four-year-old Hound mix is just adorable. I’m a sucker for those hound dog eyes, so I liked Boone immediately. 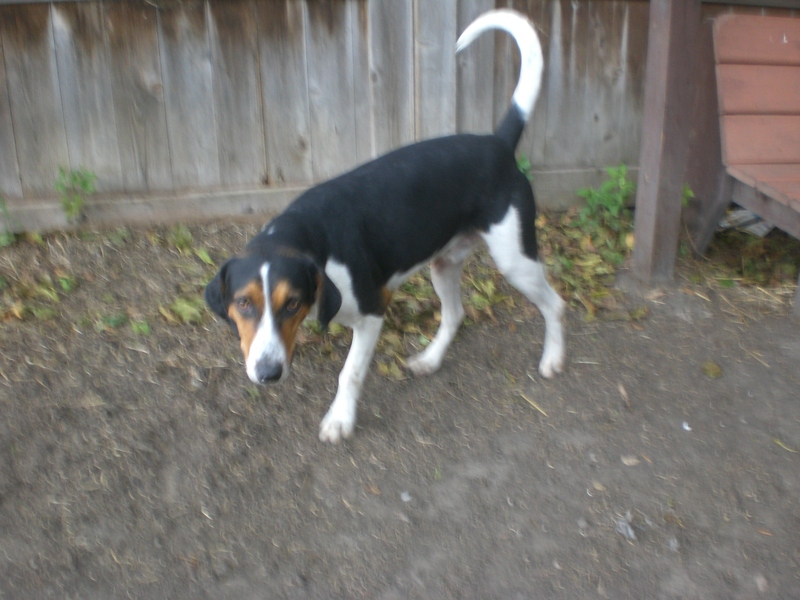 He’s on the smaller side for a Hound mix, which makes him extra cute. 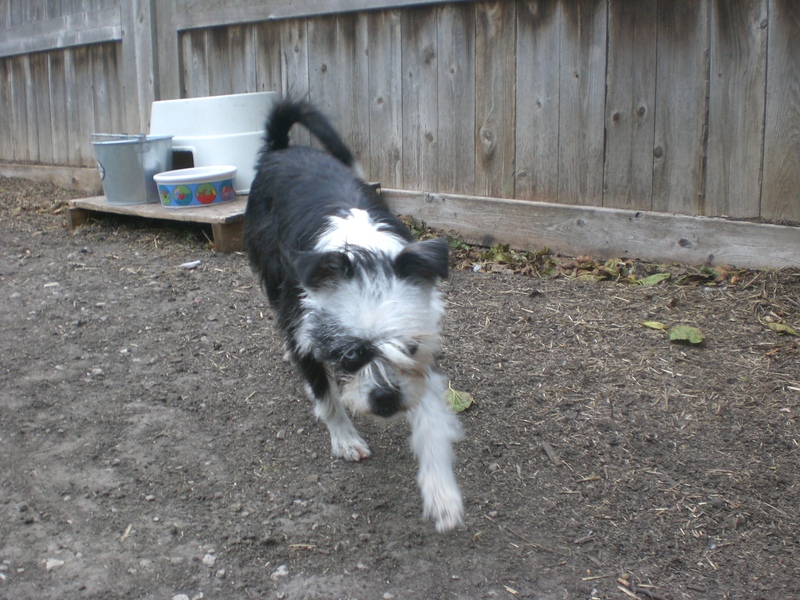 Boone is a playful little guy with lots of energy, bouncing around as we made our way to the off-leash run. 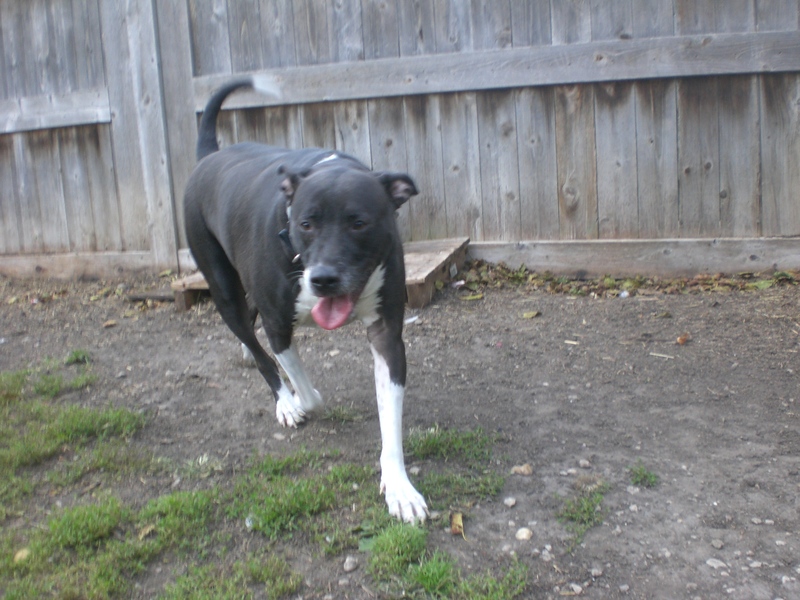 Boone enjoyed romping around the run (so much so that it was hard to get a not-blurry picture!) but also wanted to spend some time snuggling, so he tried his best to fit into my lap. The dog in the run next to ours was making Boone a little nervous, but he was easily distracted by a nice scratch on the neck and ended up being more interested in playing than paying attention to the other dog. 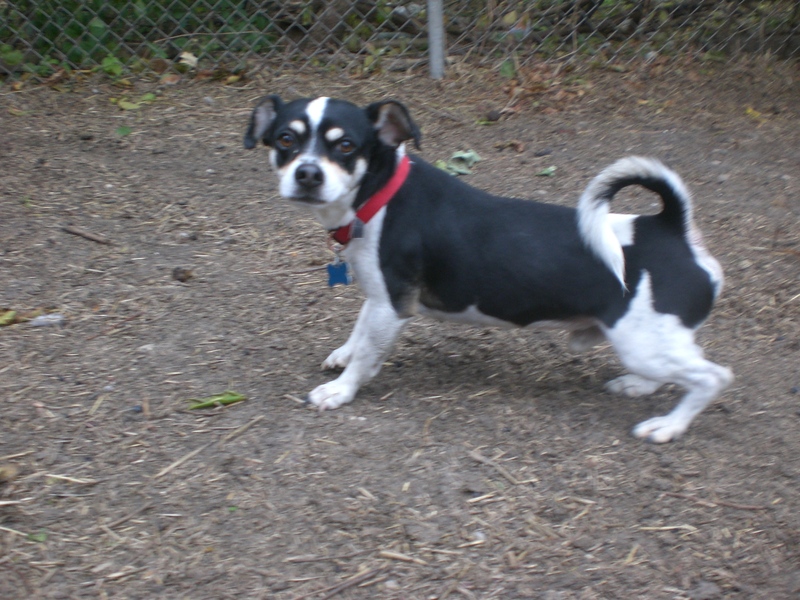 A playful pooch like Boone won’t be at the shelter for long, so come in soon to meet him! Xena the seven-month-old Boston Terrier mix is a little cutie. She’s looking for an extra-special home with extra-special people, because she’s deaf. Don’t let that make you think she isn’t a normal dog, though–I didn’t even know she was deaf until after I put her back inside her kennel. She was acting like a perfectly happy puppy, so hearing loss certainly isn’t going to slow her down. Since Xena is both a puppy and deaf, though, she will need special training to learn hand signals rather than voice commands. 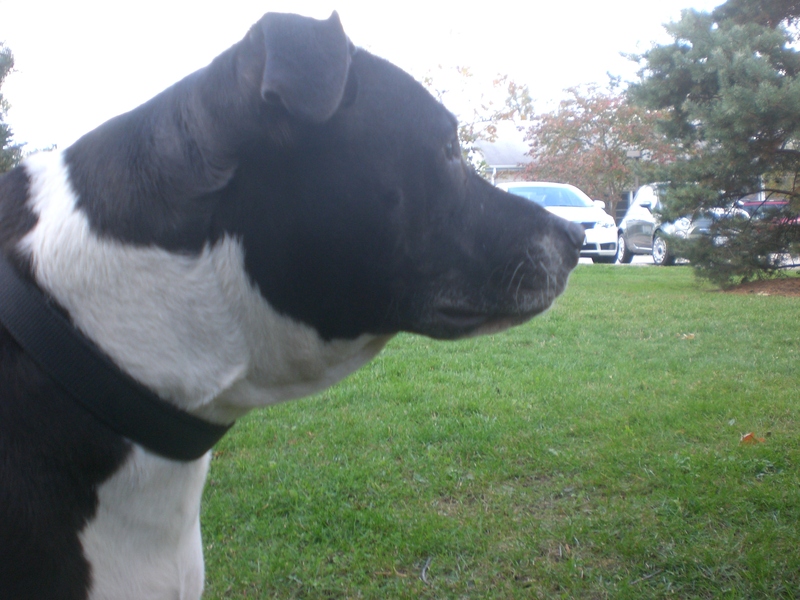 She’s a feisty one, but she seems like a smart, eager-to-please dog who will learn quickly. She had no problems with being picked up and carried, though she will need to learn her leash manners since right now she thinks the leash is a tug-of-war toy. This happy girl can’t wait to show you what a great companion she can be! Gansito the four-year-old Chihuahua/Beagle mix is almost too precious for words. 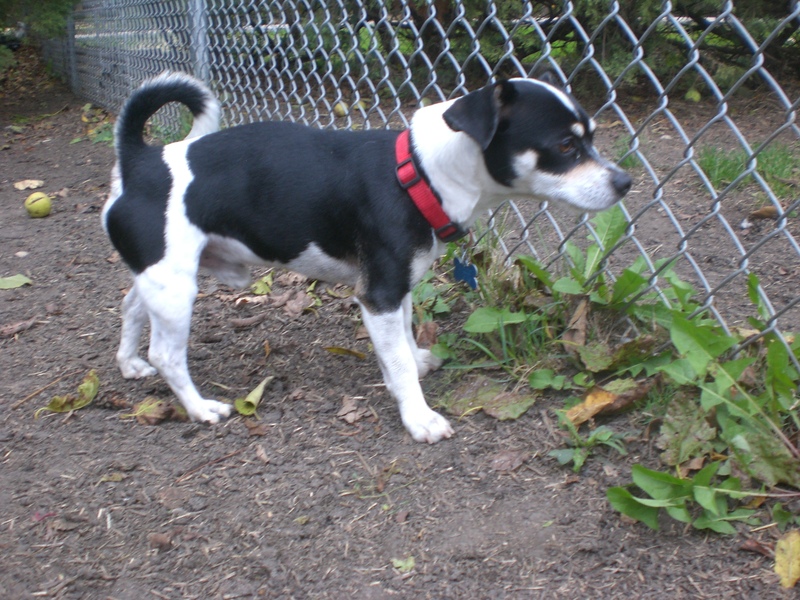 His markings are pretty Beagle-like, but he’s the size of a Chihuahua–is that a perfect combination or what? He’s going to look like a puppy for his entire life. Gansito is currently sharing his kennel with Xena and has been very patient with her puppy antics, though he would probably like to tell her to pick on somebody her own size. Gansito is barely taller than the grass! Gansito is pretty much the ideal lap dog. He’s the perfect size for cuddling and was content to be scooped up and held in my arms, even giving my chin a curious sniff and then deciding it was okay to give me a little doggy kiss. When I wasn’t holding him, he was putting his front paws on my legs and asking to be pet. Gansito is ready for a permanent lap to call his own! Rusty the eight-year-old Labrador Retriever mix is as sweet as they come. He wasn’t doing any barking when I first walked by his kennel; instead, he was just patiently waiting for someone to say hello to him. Rusty walks well on the leash and would be a great walking buddy if you just want to take a casual stroll through the neighborhood. While Rusty and I were in the off-leash run, he was behaving just like a typical Lab: tail wagging, politely interested in the dog on the other side of the fence, coming back to me frequently for a nice pat on the head. 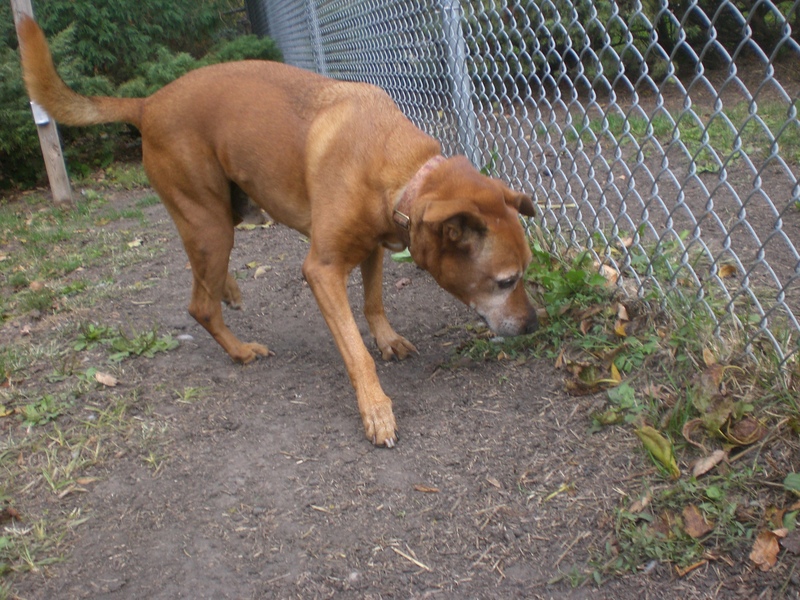 Rusty is a gentle dog who still has plenty of love to offer. He may be starting to go gray, but that doesn’t mean much to him. 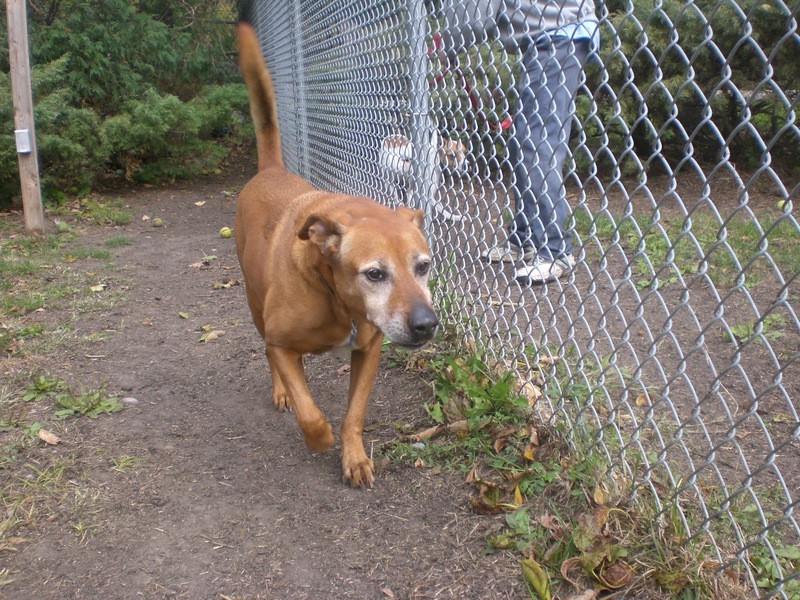 Please consider giving an older dog like Rusty a second chance in a wonderful home. 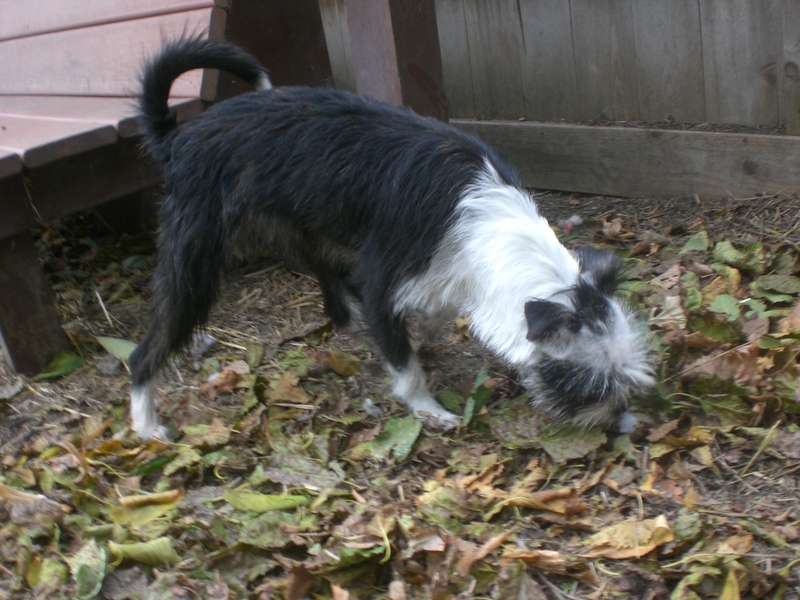 I also spent some time with Ebbie, Corky (who knows his commands–I didn’t even realize! ), Keini, Lady, Bella, Midnight, and Rock. 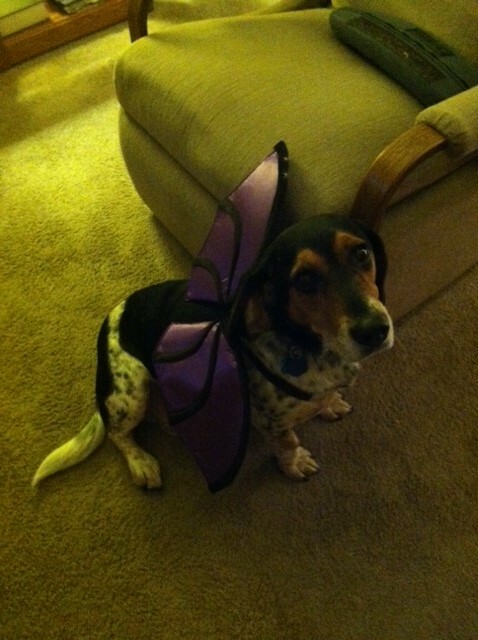 Happy Halloween from Cooper the Batdog! Posted by Meet the Pooches on October 31, 2013 in Dog Profiles and tagged adopt, adoption, animal shelter, animals, Beagle, Boston Terrier, Chicago, Chihuahua, dogs, Halloween, Hound, Labrador Retriever, Orphans of the Storm, pets.